The ability to wash your drapes, area rugs, comforters, sleeping bags, sheets, and oversized items in special large capacity washers. No need to buy, install or repair a washing machine or dryer at home. 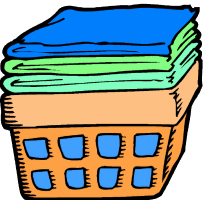 You never have to buy detergent, softener, bleach, hangers, pre-spot chemicals, not to mention the added convenience of eliminating this all day chore.